Ingenuity - DreamComfort ConvertMe Swing-2-Seat Portable Swing! Ingenuity is a baby brand which is designed for both little ones and parents every day’s life a little more smooth and makes a noticeable difference in your day. The Ingenuity comes out with one of their latest unique baby swing design known as the DreamComfort ConvertMe Swing-2-Seat Portable Swing. This product is a compact swing that converts easily to a vibrating seat! It can both recline as well as have your baby in a sitting up position. This feature can be adjusted by the screws/lock on either side of the swing. By having your baby sit upright they can more easily reach the toys and by laying them down it is a great sleeper and swing. 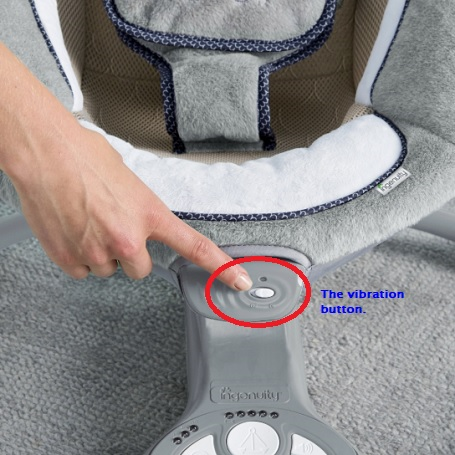 This required a laying position and unlocked in order to swing but the vibration function can be used in either position. 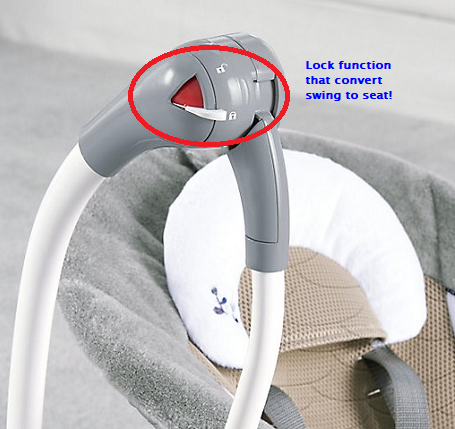 This convertible baby swing has 5 different speed and 3 different timer settings. It swings front to back and can vibrate while it swings. For timer, you can set the time of the swing at 30, 45 and 60 minutes. 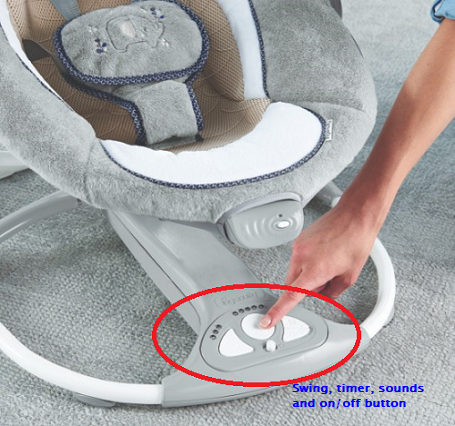 The different speed setting options allows you to adjust the strength according to your baby’s needs. The baby swing chair can also play 8 different soothing melodies and has 3 nature sounds. 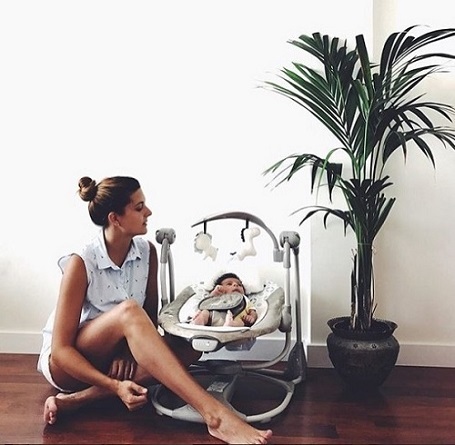 So when your baby is simply inconsolable, you can place them in this swing on the highest swing speed, with the vibration on and play a soothing melody, this can help to calm your baby in no time. This compact swing is conveniently to folds up for an easy storage and space saving! With Hybridrive Technology, the batteries life can last much longer! This required a piece of C battery and 4 pieces of D batteries. Last but not least, the seat surface is comfortable for babies and promotes air flows giving your baby a cooler and cosier space to rest. It is contoured to fit your baby’s body and support them as they’re gently rocked to sleep or hold them in an upright position as they play with the toys swinging above them. Just imagine a swing that gives you a few extra hands-free minutes because they mimic your distinct motion! It sounds cool right?! There are two available colours; Hamilton and Townsend. So what are you waiting for? Get it now with only RM399 today! Visit www.bumpnbambino.com for more promotional baby gear products! What’s a Baby Swing? Do Parents Need One?